A lock change service is carried out if your locking systems are no longer efficient or damaged beyond repair. It involves a general examination of your locking systems by a professional locksmith and selecting a new one based on your requirements. The lock that you now wish to install at your house is completely new and requires a new set of keys for operation. On the other hand, rekeying involves the replacement of the pins and tumblers of your existing locks so that your old key can no longer unlock it. It’s considered as an economical solution and is much more prevalent than lock change. Atherton Locksmiths offers special rekey locks, residential services to clients throughout Atherton, CA and excels at providing round-the-clock emergency assistance with a lighting quick turnaround time. Our experts enjoy a successful track record in delivering quick solutions and have the technical expertise to rekey all varieties of locking systems. Many people rely on amateur services or resort to DIY methods to get locks rekeyed. While rekeying is not as complicated as carrying out a lock replacement, it certainly requires thorough professional expertise and precision. Atherton Locksmiths delivers both with remarkable flair. Our experts are armed with sophisticated machinery which enables us to rekey locks for residential purposes to perfection and ensure zero damage in the process. Are you looking for a capable professional in Atherton, CA? 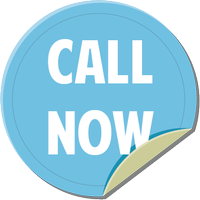 Call us now on 650-425-6061 !